Before I began homeschooling my children, I was a classroom teacher. I taught in a variety of contexts and grade levels, but I always taught Algebra. Sometimes it was remedial Algebra sometimes College Algebra, and everything in between. And I loved it! But it seemed no matter what level of Algebra I was teaching, there were certain concepts that challenged kids. And these concepts were ones that I had to review or reteach, even when I was teaching high school seniors. Today I want to share a collection of lessons, guided notes and practice that cover all those tricky concepts. 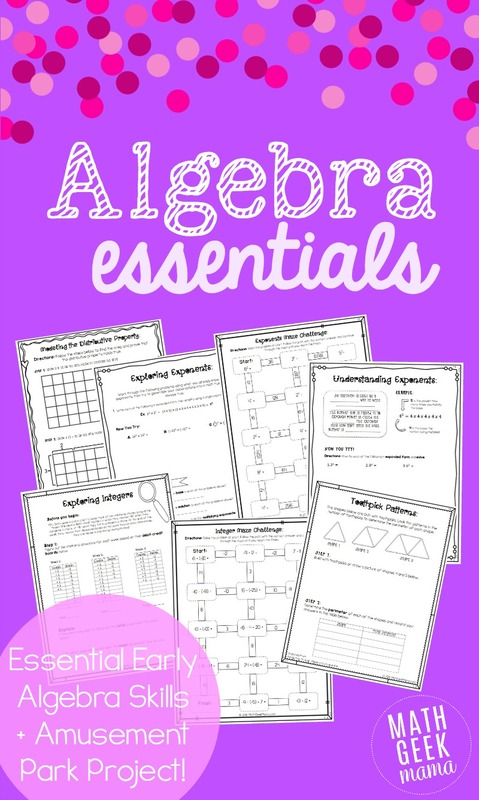 My goal with these lessons is to show and explain the why behind Algebra properties. This helps kids have a deeper understanding and as a result, retain the information better. Many of the lessons in this bundle are inquiry based lessons. This means that rather than telling students rules or properties and showing examples and then asking them to copy you, students work through investigations applying what they already know in order to learn something new. The goal with these lessons is that students discover and observe Algebra properties by working through problems. After introducing concepts in this way, the teacher can then discuss the concepts further and ask probing questions to check for understanding. Then, students can begin to apply what they’ve learned to solving problems and practicing their skills. It has been my experience that introducing concepts in this way provides a richer learning experience for students and a more solid understanding. And this deep understanding is essential if they are to succeed in higher level math. Want to learn more about inquiry based learning? Check out this article from Math Giraffe, and feel free to sign up for a free sample of this resource bundle below to take a look at some of the inquiry based lessons I’ve created. 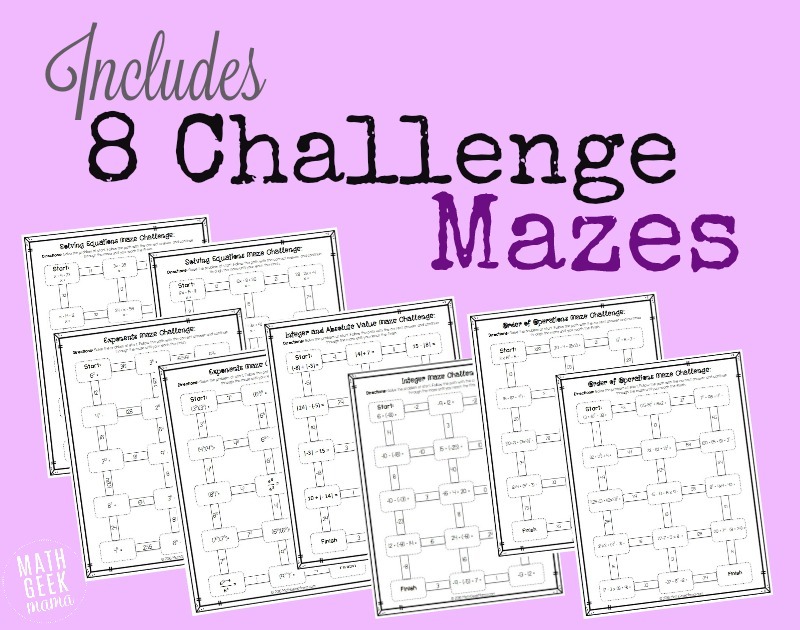 Challenge Mazes: More fun than a worksheet! After introducing concepts, it will still be essential that your kids practice these skills. So also included are challenge mazes! This idea is not new to me (I first saw these), but I thought it was so much more fun than a simple worksheet, I created my own to go along with the topics included in this bundle. And finally, this bundle includes a super fun cumulative project. This project is designed to encourage problem solving and real world application. 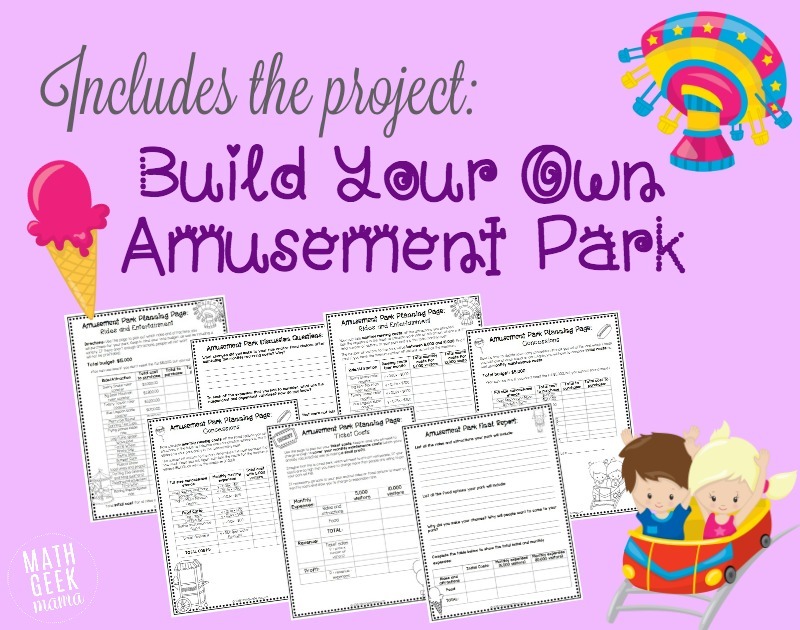 The objective is for students to design their own amusement park that is profitable, with the calculations to prove it. 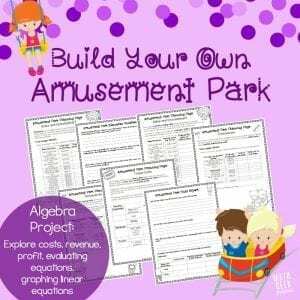 Through this project, students will learn about costs, revenue and profit, as well as applying their knowledge of linear equations to real life. Also included are teaching tips for you, a project overview page for your students, and sample grading rubrics which you can use or tweak to meet your needs. And of course, I’ve also included an answer key for the discussion questions to help you as you grade and then discuss the projects together as a class. Because I think this will be so fun and motivating for your students, I don’t want anyone to miss out. So if you are interested in the project (but not the rest of the bundle) you can purchase this separately. Just click the graphic below. Though the math involved in this project is not especially difficult, the object is for students to see the big picture, learn a little about business, and come to a deeper understanding of linear equations by seeing them in a real world context. You can use this in a Pre-Algebra class as an end of the year project if you have completed a study of linear equations. Or it would be great to use in an Algebra 1 class to help motivate kids and see math in real life. Ready to purchase the entire bundle? 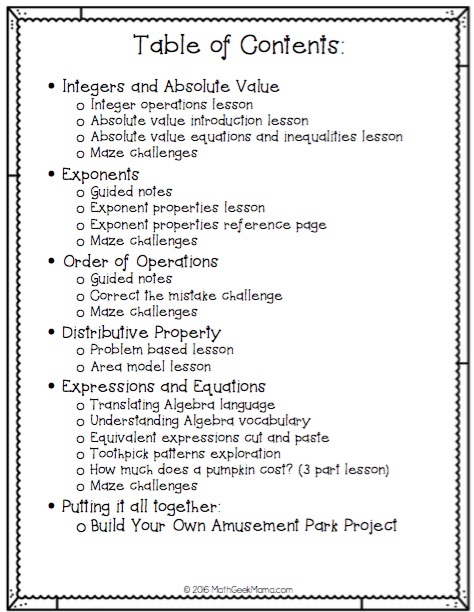 Simply click the graphic below to get all the lessons, challenge mazes, amusement park project and answer keys! 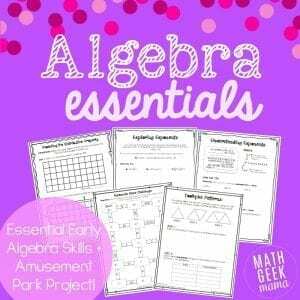 I hope you find these resources to be a great addition to your Algebra curriculum, and a fun and easy way to encourage deeper mathematical thinking and problem solving in your students!